Boyd Group CEO Brock Bulbuck earlier this month said Gerber Collision had largely finished a companywide rollout of scanning capabilities across the company. 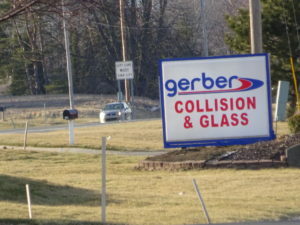 “We have substantially completed our investment in, and training for, companywide diagnostic repair scanning technology,” Bulbuck reported of his company, which owns Gerber and other collision and glass companies in the U.S. and Canada. Though the company is Canadian and publicly traded on the Toronto Stock Exchange, 80-85 percent of its revenue is generated in the U.S. The Boyd Group relies heavily upon direct repair programs with insurers; a November investor slide implies 44 percent of its revenue comes from State Farm, GEICO, Allstate, USAA and Farmers. So the embrace of scanning technology by the 417-shop Gerber chain should be a final nail in the coffin to insurers still resistant to the concept or declaring other shops to be the “only one” or a “problem” for doing it. Bulbuck told an analyst on a Nov. 14 third-quarter earnings call that a variety of ways exist to add scanning to a shop. Equipping a shop with OEM scanning capabilities for every model was likely “an impractical and unlikely capital investment that anyone could or would make,” Bulbuck said, but aftermarket scanners could be purchased for about $3,000-$5,000, he said. Bulbuck said the Boyd Group opted to combine aftermarket scanners with outsourced access to OEM scan tools in situations where the aftermarket scan tool finds additional issues. He didn’t identify the brand or brands of aftermarket scanners deployed at Gerber locations, nor did he identify the company handling the OEM outsourcing except to say the latter provided some “much-needed technical expertise” to solve the issues revealed by the tools. He called the combination of scan options “a bit of a unique solution” that allowed the company’s repairers to fix cars correctly but be cost-effective for customers and insurers. Bulbuck said that having introduced the scanning technology and training, the next step was consistent execution. He said he felt the company was “ahead of the curve” compared to the rest of the industry and called adopting scanning “a very important initiative” related to growing vehicle complexity and repair requirements. Most automakers have position statements on pre- and post-repair scanning, and “we have that capability,” Bulbuck said. He said he couldn’t quantify it but “it certainly should” be a competitive advantage. Bulbuck told analyst that the scanning initiative wrapped up after the third quarter, which ended Sept. 30. Though the Boyd Group only had spent 1.3 percent of sales on capital items (such as shop equipment) through the first nine months of the year, Bulbuck expected his company would have bought enough stuff in the fourth quarter to hit 1.6-1.8 percent of sales for the full year. “Emerging vehicle technologies requiring new, specialized repair equipment, as well as evolving information technology requirements, have resulted in this current need for this higher level of expenditure,” he said. Bulbuck felt this spending would give it a competitive edge over much of the industry. “We expect that many other collision repairers will not be making these investments,” he said. Asked if accelerating capital spending could increase sales or market share, Bulbuck said he didn’t think a “significant opportunity” existed. The real sales gain would come if the company could “buy technicians,” he joked.